In spite of its name (an homage to Ingmar Bergman’s 1978 film, Autumn Sonata in the English translation, which marked Ingrid Bergman’s final appearance on the big screen), Höstsonaten -one of the many projects in which bassist/composer Fabio Zuffanti (known to US prog fans for his work with Finisterre and La Maschera di Cera) is involved – hails from the Italian port city of Genoa. Its self-titled recording debut came in 1996, followed in 1998 by Mirrorgames, and then by the four albums comprising the Seasoncycles (Springsong, Winterthrough, Autumsymphony and Summereve), released between 2002 and 2011. 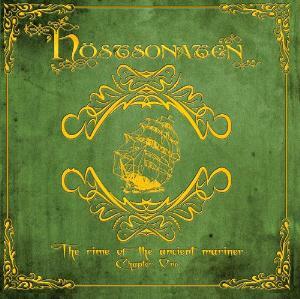 Though Höstsonaten is a solo project rather than a conventional band, every one of its albums has been conceived as a group effort with the contribution of a number of talented Italian musicians, some of them members of Zuffanti’s other projects (such as Finisterre, La Maschera di Cera and Aries). Samuel Taylor Coleridge’s iconic 9-part poem, The Rime of the Ancient Mariner (published in 1798 as part of the ground-breaking first edition of Lyrical Ballads), is one of those literary works that seem to have been created expressly to be put to music, especially in a progressive rock setting. A riveting tale of guilt, atonement and redemption set largely at sea, it epitomizes Romanticism with its heady blend of Christianity, pantheism and Gothic horror (masterfully captured by 19th-century illustrator Gustave Doré, one of whose etchings is reproduced at the end of the CD booklet). Most rock fans will be familiar with Iron Maiden’s stunning, 13-minute rendition that was included on their fifth album, 1984’s Powerslave. Indeed, Iron Maiden’s epic (by many considered a full-fledged example of progressive rock) was the original inspiration for Zuffanti’s own interpretation of Coleridge’s poem – which first appeared in Höstsonaten’s first two albums (as Part I and Part II). However, Zuffanti was not satisfied with the results, and decided to expand his vision and present the poem in its entirety (while the Iron Maiden song condensed Coleridge’s story, quoting the poet’s words only briefly), even if split between two albums, with Chapter Two’s release planned for 2013. The ambitious scope of The Rime of the Ancient Mariner (as well as its respected literary source) will remind dedicated prog fans of the the numerous Colossus Project CD sets released by Musea Records in the past decade or so. Zuffanti himself has frequently collaborated with those endeavours, and graphic artist/drummer Davide Guidoni (one of Colossus Project’s mainstays) has contributed his accomplished artwork to the disc. Coleridge’s original text is interpreted by four different singers plus a reciting voice. As good as the vocal performances are, however, the music is the real strength of the album, effectively conveying the dramatic development of the story – from the joyful departure of the ship to the culmination of the tragedy caused by the Mariner’s wanton killing of the albatross, the “bird of good omen” that steers the ship through a deadly ice field. The instrumental “Prologue” sets the scene with ominously tolling bells and the haunting sound of the waves, then builds up to a rich tapestry of keyboards (manned by Luca Scherani of La Coscienza di Zeno) laced with violin and Matteo Nahum’s stately, melodic guitar. Though the Genesis influence hovers on the whole album, Zuffanti also introduces heavier elements to bolster the work’s quintessentially dramatic nature. Part I (with vocals by La Maschera di Cera’s Alessandro Corvaglia, assisted by long-time Zuffanti collaborator Carlo Carnevali) is the most consistently symphonic episode, juxtaposing lush keyboard textures, choral mellotron and melodic guitar with the lyrical touch of the violin and the pastoral sound of the flute, and then gradually increasing the intensity quotient, leading to the mournful, melancholy mood that accompanies the killing of the albatross. After a deceptively subdued opening, Part II quickly builds up to a powerful climax, with roaring Hammond organ and synth slashes complementing Davide Merletto’s vocals, while some sax inserts add interest, and the eerie, rarefied sound effects at the end aptly convey the plight of the ship becalmed in the middle of an empty ocean. Part III (at 16 minutes the longest track on the album) marks a definite change of pace, often veering into prog-metal territory and bringing to mind the melodic yet powerful style of bands such as Symphony X. Marco Dogliotto’s clear, assertive tenor (reminiscent of a less histrionic James LaBrie) navigates the shifts in the narrative with confidence and flair, while Silvia Trabucco’s violin alternately soothes and roars, sparring with guitar and organ in almost aggressive fashion. The slow, inexorable approach of the ghost ship is rendered in a chillingly understated way; then the music gains momentum once again to describe the death of the ship’s crew. Piercing bagpipes at the opening of Part IV convey the plight of the Mariner, alone on a ship with the corpses of his mates, whose staring eyes curse him. Corvaglia’s vocals blend with Simona Angioloni’s pure soprano, and the folksy suggestions are reinforced by the use of typical Celtic instruments such as the tin whistle and the bodhran, as well as the accordion, which perfectly complement the wistful, romantic note of the violin. Then, grandiose mellotron and powerful riffs, propelled by Maurizio Di Tollo’s imperious drumming, lead to the climactic moment of the Mariner’s redemption. The Rime of the Ancient Mariner – Chapter One keeps to a restrained running time of about 58 minutes, and I have to applaud Zuffanti’s choice of splitting such an ambitious endeavor in two parts, rather than releasing a double CD that would have probably been indicted as overly pretentious. Displaying all the symphonic splendour of the golden age of prog, with a tantalizing sprinkling of folk and jazz influences and occasional forays into metal territory, the album manages nevertheless to sound modern (though obviously not “innovative”), avoiding the unabashedly retro stance of some highly praised releases of the past couple of years. Moreover, the lasting appeal of its literary source removes that whiff of cheesiness that often accompanies such ambitious productions. Highly recommended to fans of classic symphonic prog, with particular regard to the Italian school, The Rime of the Ancient Mariner – Chapter One is a very accomplished effort, and a loving homage to one of the milestones of English-language literature. One of the many projects in which Genoa-based bassist and composer Fabio Zuffanti is involved, La Maschera di Cera (The Wax Mask, named after a ‘50s horror movie starring Vincent Price) have been active since the beginning of the new millennium, releasing four studio albums and a live one. Their third album, LuxAde (released in 2006, and based on the Greek myth of Orpheus) brought them to the attention of the many fans of classic Italian prog scattered around the globe, which culminated with their appearances at the 2007 edition of NEARfest and the 2009 edition of ProgDay, two of the highest-profile progressive rock events in the world. They also appeared in the Romantic Warriors documentary, alongside fellow Italians D.F.A. Petali di Fuoco, their fourth studio release (produced by a veritable RPI icon such as PFM drummer/frontman Franz Di Cioccio) marks a distinct change in the band’s compositional approach, and consequently also in their sound, which has been somewhat streamlined. While the band’s three previous albums had the hard-edged, retro-symphonic sound of Seventies outfits such Il Balletto di Bronzo and Biglietto per l’Inferno down pat, dispensing with the electric guitar in favour of luxurious keyboard textures and plenty of Mellotron – as well as sporting a strong conceptual bent – Petali di Fuoco takes a more mainstream direction, featuring 9 shorter, unconnected songs with more straightforward lyrics. While there are still Italian bands paying homage to the great tradition of the elaborate concept album, La Maschera di Cera seem to have followed the example set by other Genoese bands like Delirium (with their superb comeback release Il Nome del Vento) and Il Tempio delle Clessidre, and chosen a more accessible format for this album. On Petali di Fuoco, the core of founding members Alessandro Corvaglia, Fabio Zuffanti, Agostino Macor and Andrea Monetti (plus drummer Maurizio Di Tollo, who joined the band in 2004) has been augmented by guitarist Matteo Nahum, who proves to be the album’s real ace in the hole. A classically-trained musician (and devoted Steve Hackett fan) with the perfect combination of flawless technique (without any concessions to the deplorable shredding trend) and genuine emotion, his contribution lifts the level of the album from merely good to excellent. Even though the music is unabashedly retro, a loving homage to the classic Italian prog sound of the Seventies without any real claim to innovation, and the songs sometimes skirt the Italian melodic pop tradition a bit too close for comfort, Petali di Fuoco delivers a very satisfying listening experience, at least for those people who like their prog with lots of vocals. On the other hand, Alessandro Corvaglia’s strong, confident voice, markedly different from the operatic style of the likes of Francesco Di Giacomo, but equally suited to tackling material at the same time melodic and challenging, can bring to mind some internationally-known Italian pop singers, and therefore come across as vaguely annoying to those who like the angular, acquired-taste vocal styles of so many prog singers. Running at about 55 minutes, Petali di Fuoco is a well-balanced effort that never threatens to outstay its welcome. Most of the songs – as immediately evidenced by opener “Fino all’Aurora”, an upbeat, organ- and flute-driven number ending with a beautiful guitar solo – have a conventional verse-chorus-verse structure, but the lush orchestration and seamless instrumental interplay reveal their progressive matrix. Though Corvaglia’s voice often seems to dominate the proceedings, the instruments spin a tightly-knit web of sound that provides a solid foundation for the development of each song. While “D-Sigma” and “Discesa” keep things simmering in the same spirit as the opener, with melodious, Hackett-inspired guitar passages opening airy spaces in the dense, keyboard-driven heavy prog textures of the songs, the title-track and “Agli Uomini Che Sanno Già Volare” take a more subdued direction, with a sparser, somewhat melancholy instrumental backdrop that pushes the vocals to the forefront and leaves a lot of room for Corvaglia’s emotional delivery. Though Petali di Fuoco is a strongly vocal-driven album, two instrumentals have been included – one, “4.18”, a short classical guitar number in the style of Genesis’ “Horizons”, the other, “Phoenix”, starting out slowly but building up to a crescendo powered by keyboards and drums – a structure paralleled by “Il Declino”, in which a somewhat somber piano solo is offset by the unbridled passion of Corvaglia’s vocals. On the other hand, with “L’Inganno” La Maschera di Cera explore vintage hard rock territory, powered by Agostino Macor’s rumbling Hammond organ and whistling Moog, and featuring an almost jazzy piano passage in the middle, as well as a soaring guitar solo at the end. The album ends with a veritable bang: “La Notte Trasparente”, at almost 8 minutes the longest track on the album, is also the most complex, with all the instruments creating intricate yet airy textures with more than a nod to classic Genesis, and a showcase for Matteo Nahum’s spectacular guitar work. His solo at the end starts out slowly, and then gradually drives towards an exhilarating climax that had me think about Gary Moore or Blue Oyster Cult’s Buck Dharma. Though some prog fans may be disappointed by the lack of epics and the generally more streamlined nature of Petali di Fuoco, the album will certainy prove a treat for lovers of the sounds of vintage Italian prog. With lush instrumentation, a nice balance between orchestral grandiosity and more intimate, subdued moments, plenty of melody and warm, passionate vocals, it contains all the elements that keep attracting many listeners to Italian progressive rock – as well as those that often turn people off, such as the enhanced sentimentality and occasionally bombastic passage (though not as prominently as in their previous studio albums). 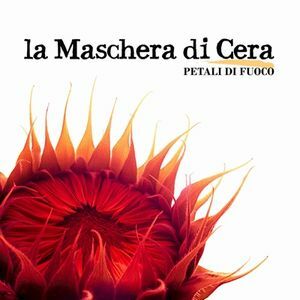 It is, indeed, very much a ‘retro-prog’ effort – which might make it pointless (as a fellow reviewer put it) in the eyes of some of the more jaded set – but it cannot be denied that Petali di Fuoco is a quality offering brimming with flair and songwriting expertise. Even if, speaking from a strictly personal point of view, the music on the album is not always my cup of tea, I would not hesitate to recommend the album to everyone interested in Italian prog.